Adam Thielen, Minnesota wide receiver, is posting big numbers on the field this season with 85 receptions, 1,013 yards and 7 touchdowns after the first 10 games but one of his biggest receptions this year is the $300,000 donation and partnership commitment that he received from Choice Bank which gives a boost to the newly launched Thielen Foundation that is dedicated to helping people overcome adversity to achieve their full potential in life. North Dakota-based Choice Bank, which recently expanded in Minnesota through its acquisition of Venture Bank, has a history of philanthropy with a “People First” commitment to bettering the communities where they work and live. One of the first Thielen Foundation initiatives has been supporting the University of Minnesota Masonic Children’s Hospital with financial assistance and personal visits with a focus on the Pediatric Behavioral Health Unit. Choice Bank is also matching all donations to a PledgeIt campaign that will encourage fans to support The Thielen Foundation by committing to donate for every catch Adam makes for the remainder of 2018-2019 season. Both Thielen and Choice Bank will match all donations, up to $19,000 (a tribute to Thielen’s jersey number). Fans can make donations via the Thielen Foundation website: www.thielenfoundation.org. 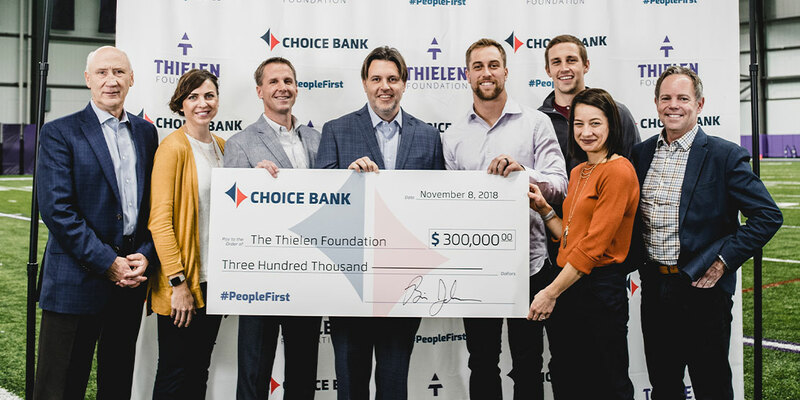 In addition, Choice Bank is the presenting sponsor of the Thielen Foundation’s inaugural Winter Topgolf Classic on December 3 which is already sold-out. 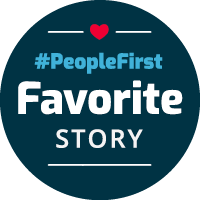 “At Choice Bank, they don’t just say people first, they live it,” said Thielen.